Gaming on mobile devices has been continuously improving and reached an all-time high on Android with the release of the new Android Nougat operating system and the Vulkan API. At this rate, there’s only a matter of time until we will see many more of the consecrated titles made available for Android play. As flourishing as this industry is at this moment, there will always be that release that simply does not live up to the expectations. We’ve made a list with some top games that followed this unfortunate path. Indeed, this was actually launched just before 2016 ended but since everyone was holding their breath for it, we had to include it on our list. Released in December 2016, Super Mario Run did not meet the expectations in terms of sales, said Nintendo’s president Tatsumi Kimishima. In the Play Store, Super Mario Run is classified as an action game the goal of which is to tap the screen and help Mario overcome all sort of obstacles. The game has 3 modes that you can try for free before deciding to buy. Unfortunately for Nintendo, most of the reviews come out negative with the main complaint being that the game is just too simple and not immersive enough to pay for it. The game was updated last time on the 23rd of May for some bug fixes that, unfortunately, did not manage to change the fate of Super Mario Run. Nintendo can’t seem to catch a break in 2017 with their second release of the year turning out to join the fate of Super Mario Run. 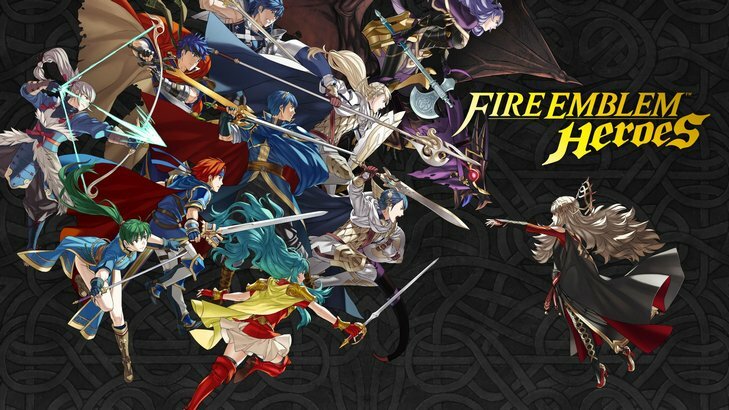 Even though it had a very good start after the 2nd of February when launched, Fire Emblem Heroes has registered a significant decline in all important European markets. Marked as a simulation game in Play Store, Fire Emblem Heroes benefits of mostly positive reviews from users but the charts do not lie. Better luck next time, Nintendo. Skullgirls is a fighting RPG with custom controls optimized for mobile so that you can execute a wide range of combos only by tapping or swiping the screen. It also offers ‘Fight Assist’ for players that have little experience with action games. Most of the reviews it has on Play Store are positive, however, there are quite a few voices that point their finger at the disadvantages of the mobile version of this game. And they are partially right, with what can be done on today’s mobile phones, the developers could really do a lot better. No matter if the publishers manage to get everything right and create the perfect game or fail to do so, it is already clear that Android games can deliver a remarkable experience. All you have to do is access the Play Store choose your favorite.